Experiences are key to the leisure, tourism, hospitality, entertainment, and mobility industries. Our conversations with myriad partners in these industries always come back to their customers’ experiences as the thing they are managing for. Thus, it’s not surprising that about two years ago, as part of an effort to focus research efforts, our school chose ‘Designing, Managing, and Measuring Experiences’ as one of three central themes in which we create knowledge and help our professional partners add value to society. This choice resulted in a visionary investment in a state-of-the-art experience design, management, and measurement facility, called the Experience Measurement Lab. In this article, we present the facility and how our partners have already benefited from it. First, however, it is useful to define what we mean by experiences. From the moment we wake up in the morning until we go to sleep at night, we receive all kinds of sensory inputs from the outside world: the smell of coffee, the ground beneath one’s feet, the light and warmth of the sunshine, and so on. We also receive some inputs from inside our body, such as feeling hungry or tired, and from our thoughts, for example when our mind wanders. All these external and internal inputs form our stream of consciousness, our continuous sense of experiencing life. That stream is much too rich with information for the brain to manage, so mental models such as ‘lunch’ and ‘commute’ are used by the brain like a pair of scissors to cut the stream of consciousness into manageable episodes, such as ‘a nice lunch with my friend Janet’ or ‘coffee break on a quiet Wednesday.’ If you consider how many such episodes pass through your mind on a given day, it’s clear that there are simply too many for us all to remember or act upon. That’s where emotions come in. Emotions are like a switch in the brain to determine which episodes are important. When we are emotional, the brain tells us to remember and react to whatever episode just happened. When we are not emotional, we quickly forget that episode to keep room in our memory. So, emotions are absolutely crucial. They drive our behavior, telling us what’s important, what is good or bad, and what is worth remembering. It is also important to note that emotions unfold over time. They come and go continuously during the experiential episodes of any given day. When they peak, the mind perks up, and we engage in behaviors such as remembering, purchasing, and recommendation. In this way, emotions drive the value offered by leisure, tourism, hospitality, and entertainment experiences. When people pay for such an experience, they are not paying for the tangible commodities of sand on the beach or carpet in a hotel room. They pay for the way those experiences make them feel, for the emotions they have on that beach or in that hotel. When the emotions we experience meet or especially exceed our expectations, we act on them in profitable ways, remembering to re-book or re-visit, sharing on social media, and bragging to everyone we know. This is good news for our industry partners, because emotions can readily be managed. Most emotions are well-known and well-described in the psychology literature, with predictable causes and consequences. To manage emotions, a company must first describe in detail which emotions they wish to deliver at which touchpoint in the customer journey, and they must have enough long-term vision to honestly aim to deliver such a journey. Then, they must dare to measure their customers’ emotions at each touchpoint, open to the fact that they may be in for unpleasant surprises. Finally, based on what they find, they may choose to adjust their marketing to use different emotions to trigger purchase behaviors, and promise an experience they can actually deliver. The effects of such changes have to be measured again, or otherwise the learnings that lead to long-term improvement are lost. Likewise, if legally and practically possible, the experience actually delivered can redesigned, using techniques such as storytelling. But once again, the effects must be measured, so that managers know exactly what improved and how much. We use smartphones, Empatica E4 wearable wristbands and cameras to record signals of emotions in the body. Being able to measure customers’ emotions accurately is key to this process, but has not been simple. Traditionally, managers as well as psychologists measured emotions using questionnaires or interviews. These methods can be relatively inexpensive and flexible. However, people tend to tell researchers what they think those researchers want to hear. In leisure, tourism, hospitality, and entertainment contexts, people are really quite reluctant to report negative emotions for example. Also, these self-reporting methods happen after the experience itself is over, and it is well-known that the emotions people experience can be very different from the emotions people recall. Thus, about a year ago, our school invested in the Experience Measurement Lab, a facility which measures emotions directly from the body and the brain. The lab features an Electroencephalography (EEG) device, which measures people’s brain activity in reaction to photos, videos or websites. While sitting comfortably in our lab, participants in EEG experiments wear an elastic swim cap with electrodes which sense their brain activity. These signals are amplified and recorded on a PC. When the signals are averaged over 30 or so participants, clear patterns start to emerge which reveal how emotionally they react to different marketing materials, for example. 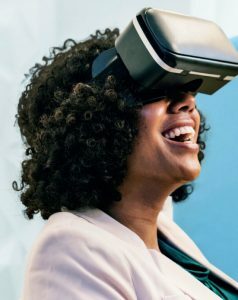 We can also simulate the experiences themselves in virtual reality, and thus measure when during a (virtual) experience people become more emotional. It is also possible to record EEG signals while people search a (mobile) website. EEG is extremely precise in time, so we can see if a person is being emotional even before they are aware of it. The lab features an EEG device, which measures people’s brain activity in reaction to photos, videos or websites. This technology was used to determine the effectiveness of a television commercial (‘Land in Zee’) for VVV Zeeland by comparing it to an emotionally similar, but irrelevant commercial (for a car). Reactions were measured before and after the commercials to various pictures of Zeeland. Additionally, some of the pictures were stock photos, while others came from user-generated websites. As a bonus finding, the EEG recording showed that reactions to user-generated photos were actually more emotional. Our Experience Measurement Lab doesn’t only stay indoors, however. We can go out into the field for experience measurements during actual tourism, leisure, hospitality, and entertainment experiences as well. There, we use smartphones, Empatica E4 wearable wristbands and cameras to record signals of emotions in the body. Phones track location and allow participants to take photos. The wristbands track motion, temperature, heart rate, and most importantly, the sweating of the skin, which is extremely sensitive to emotional engagement. Cameras are useful for recording video of faces, which of course express our emotions. 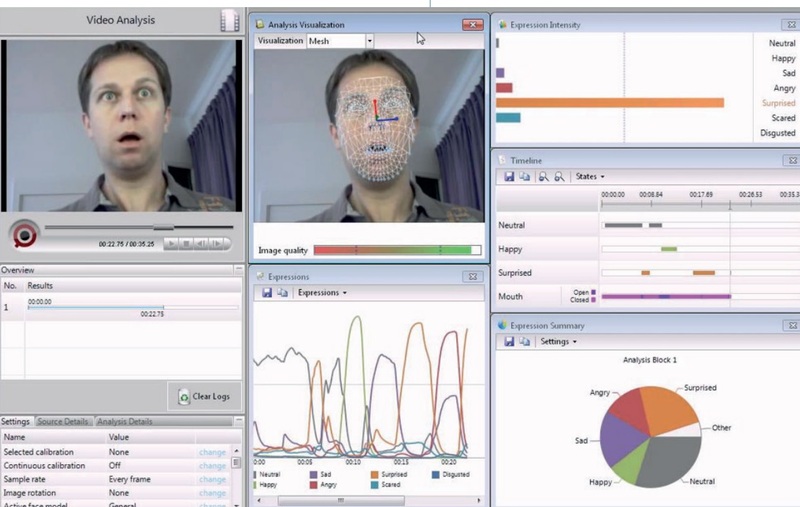 We can process the video through Noldus FaceReader, a software which automatically recognizes emotions from facial expressions on video (within every frame, so 30 times a second!). We used these technologies in a study of emotional interactions at the Tourist Information Center in Gent. Employees at this info desk had recently been trained in soft-selling skills, which operate by forming an emotional connection with customers. We recorded an employee’s facial expressions with cameras, as well as those of students posing as mystery visitors. The students also wore the wristbands and responded to questionnaires about their behavioral intentions, such as intent to recommend. Our findings showed that students who were more emotionally engaged and positive – especially at the end of the conversation – had a higher intent to recommend, and that indeed their emotions were partly driven by the emotional expressions of the employee. 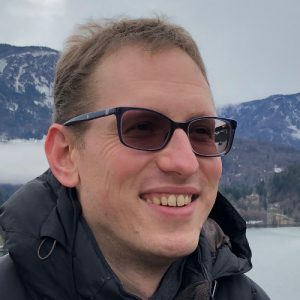 Bringing many of these technologies is the PhD project of Wim Strijbosch, which aims at identifying how the mind turns stream of consciousness into experiential episodes, and what makes each episode memorable. He studied these fundamental questions by showing participants science fiction movies in virtual reality while recording their brain and skin activity. These signals were then compared to participants’ retelling of the movie, showing how their memory is formed by particular emotions as shown in these physical signals. We look forward to undertaking more projects to solve persistent industry issues such as service quality, physical environment design, staff training, and crowding. We conduct these projects driven by our and student interests’ as thesis and course assignments, or driven by partner assignments for commercial rates. Over time, we hope our insights contribute to better quality experiences for everyone, eventually improving quality of life. Ondrej Mitas is lecturer and researcher at Breda University of Applied Sciences. He is one of the coordinators of the Experience Measurement Lab.